Orders are processed within one business day after it is placed. For products that are currently in stock, delivery time begin one business day after the order is placed. Delivery of out-of-stock or custom orders will take up to two weeks. 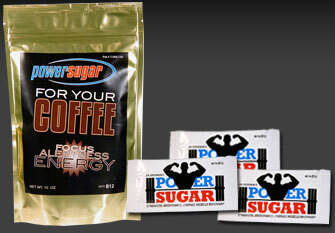 You will receive an initial e-mail from powercoffeeproducts.com confirming your Order. You will receive a follow-up e-mail from powercoffeeproducts.com containing your Tracking Number once your package has been shipped. You may track the delivery of your order by using the Tracking Number or visit My Account to check the status of your order. Packages can be sent to the same address as your billing address or to another address. If you have an account with powercoffeeproducts.com, you can select an address from your account by signing in during the checkout process. We are unable to ship orders to multiple locations. If your order contains gifts or items to be shipped to multiple addresses, please place a separate order for each address. Each individual shipment will incur separate shipping charges. We appreciate your interest in shopping with powercoffeeproducts.com. We are working to bring international ordering to you as soon as possible; but at this time, we are unable to accommodate shipping our products to countries outside of the US through our online shopping website. We apologize for this inconvenience. We encourage you to check back frequently as we update this process. Be sure to sign up on our email mailing list to be promptly informed as soon as this service becomes available.